Linux Mint 17.3 was released a little while ago now and I was for a while planning to skip this version because I am not sure there is enough new content to warrant a new review. Chakra messed up big time on this laptop and I needed something I could really rely on for creating a Raspbian SD card for my Raspberry PI 2. I am going to start this review with the new features in Linux Mint 17.3 so that those of you who are already well aware of Linux Mint and what it offers can skip the rest of the review. The second part of the review will look at it more in depth, highlighting the features and the applications provided with Linux Mint. 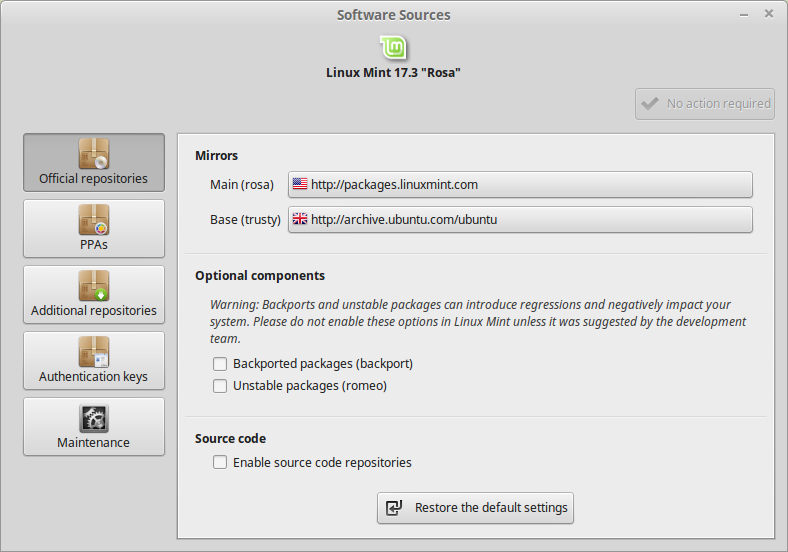 The first new feature in Linux Mint 17.3 is to do with the way you install software. Software is held in repositories and these repositories are mirrored on servers all around the world. In theory the server closest to you is going to be the fastest. 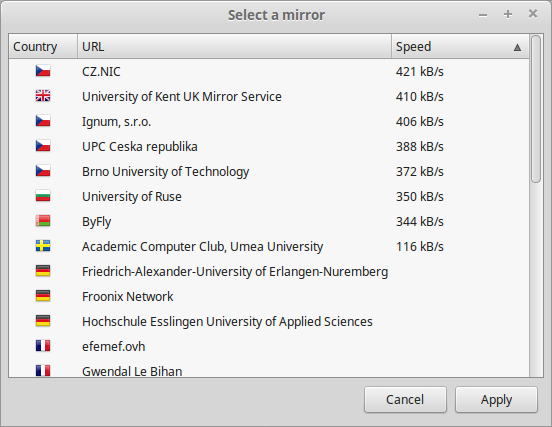 In Linux Mint 17.3 you can see which server is performing the best by clicking on the mirror. I live in Scotland and therefore you would expect the UK mirrors to be best suited to my needs but as you can see from the screen above it seems like the Czech server is currently performing slightly better. I would still choose the UK mirror because I think on average if I performed the test 10 times the UK server would end up being slightly better but it is a decent tool. The update manager has been improved to provide more information to the user. If you are likely to hose your system, as shown in the screenshot above, it is very useful to be shown that information. The above message is critical and therefore is highlighted in red. You will receive an orange message if the repositories are out of date and a blue message to show that there are faster repositories available. If you see no messages at all then you are using a suitable mirror. 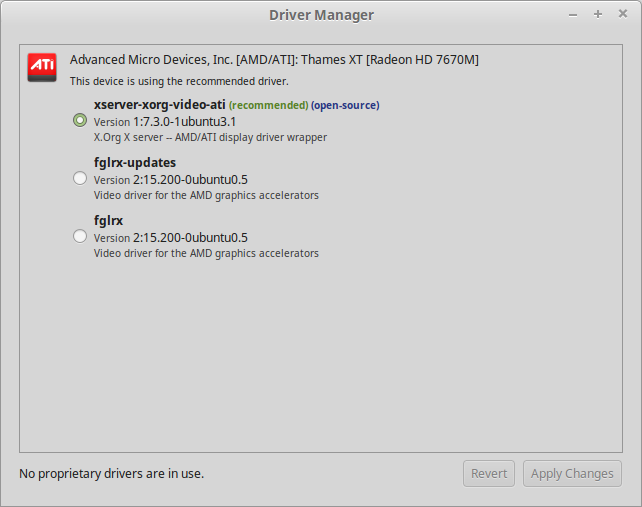 The driver manager has been improved to sort by status and it reports if the driver is open source or not. The sound applet has been improved to show the song that is playing and a progress bar. The power applet has received a number of bug fixes especially in regards to devices with multiple batteries. If you have the workspace switcher added to your panel you can now see a visual representation of the windows open within each workspace. The image above shows 2 windows side by side. If you look at the first workspace in the workspace switcher you will see 2 windows side by side. The system tray now supports indicators. The windows list at the bottom of the screen now shows icons. There have also been bug fixes for the run dialog and auto complete has been improved. The display settings screen now shows the name of the monitor and where it is plugged in. I am using a laptop and so the screenshot isn’t doing the screen justice. Overall a good improvement for desktops with multiple screens. A password strength indicator has been added to show how strong the password you are creating for a user is. Applets also reload themselves automatically when updated. Work has been put in to fix frame rendering issues with NVidia cards which may also help ATI and Intel chipsets. There has also been a lot of work put in to improvement multiple monitor setups. Cinnamon now supports microphone mute buttons. HiDPI detection has also been improved. XRANDR has also seen significant improvements. Cinnamon has better support for QT5 applications, has better XSMP support, has better logs and there is a fully configurable auto-start blacklist. Performance improvements have been made to the way the calendar applet used CPU. Preloading was removed from Cinnamon 2.8 as it proved overall to be counterproductive. Within the Nemo file manager you can now rename files by clicking on them. 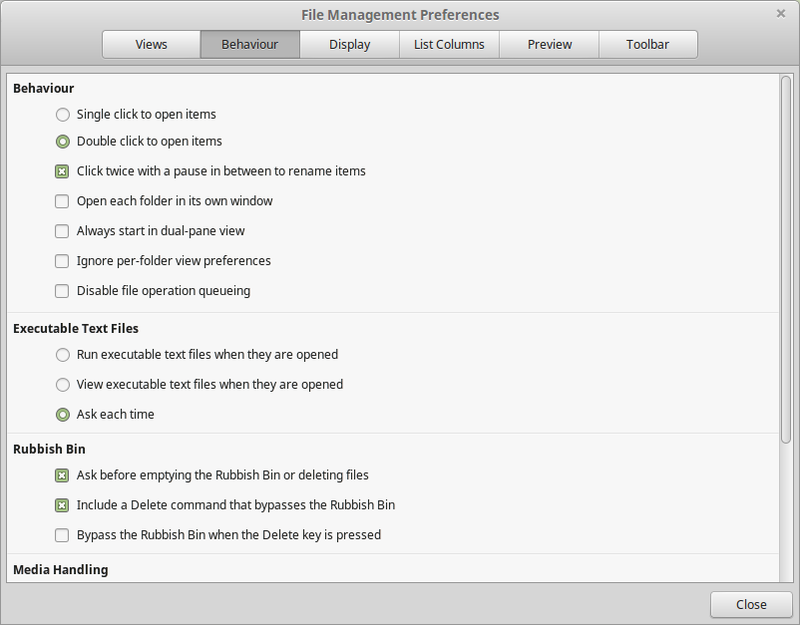 You have to enable the feature by going to the Edit -> Preferences menu, clicking on behaviour and checking the “click twice with a pause in between to rename items” box. This mimics a feature that has been in Windows for years. Better support was added for HiDPI and an onscreen keyboard was added for touchscreen devices. A newer Linux kernel is included and newer versions of Xorg and Mesa are included. The default kernel version number in Linux Mint 17.3 is 3.19.0-32-generic. Version 4.2 is available in the repositories but can cause issues with proprietary drivers. 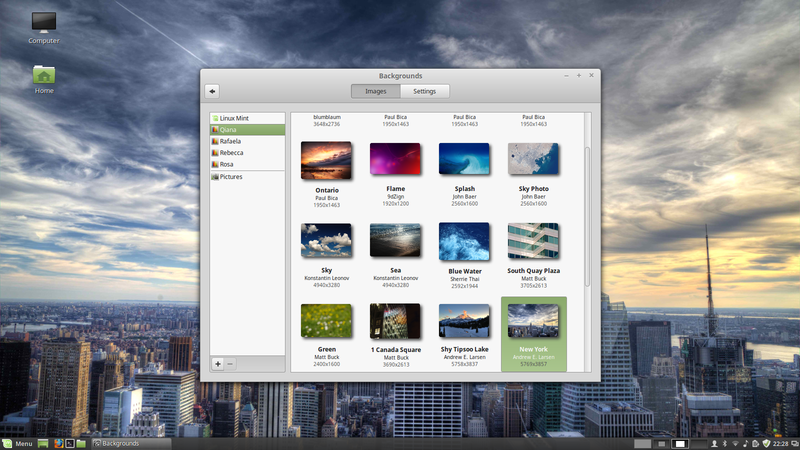 That concludes the look at the new features in Linux Mint 17.3. Essentially there have been a few desktop improvements to the update manager, driver manager and system sources configuration. Most other improvements surround hardware support especially for HiDPI. 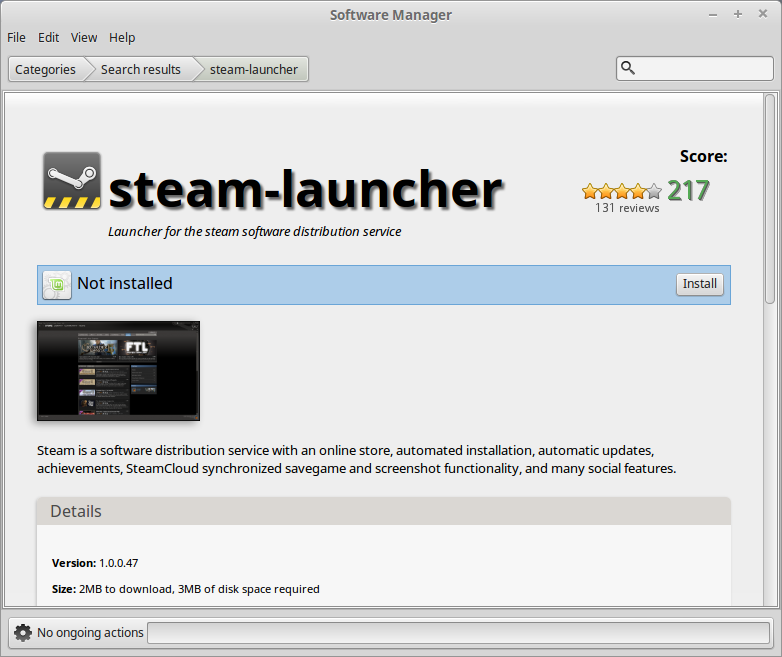 The rest of this review is for people new to Linux Mint. 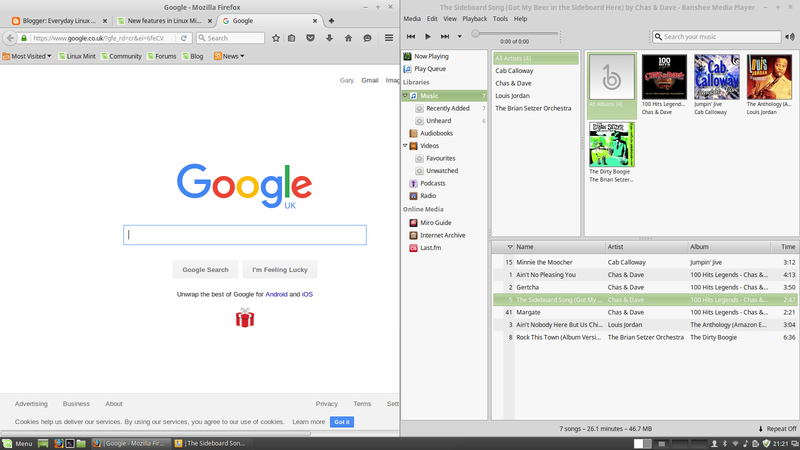 Linux Mint is a great operating system especially if you like the look and feel of Microsoft Windows up until Windows 7. It is based on the long term support release of Ubuntu (14.04) which means support is available until 2019 before you have to upgrade to the next version. If, as a user, you are worried about using the command line then you will appreciate that Linux Mint requires little to no involvement with the terminal at all, although it is there if you want it. Unlike Ubuntu, Linux Mint provides all the multimedia codecs by default which means you can play MP3 audio and watch Flash videos and play Flash games without installing extra software. Mint is very popular due to its good performance, ease of use and its completeness. How Can You Get Linux Mint? 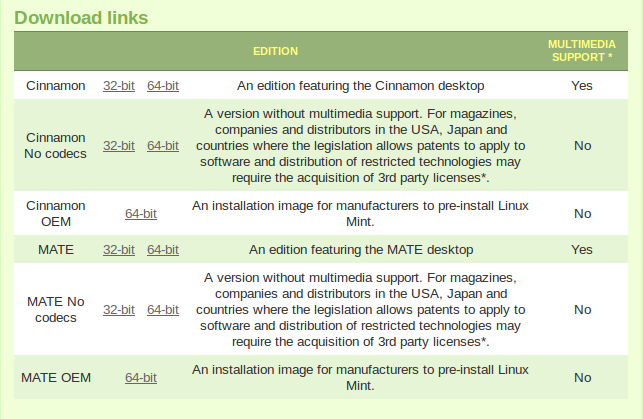 There are a number of different versions of Linux Mint available. This review covers the Cinnamon version. Cinnamon is great for more modern computers and is the flagship product. If you are running an older computer try out the MATE version. You will need to download the most suitable version (i.e. 32-bit or 64-bit). I recommend not selecting the no codecs versions unless you have no need to play MP3 audio nor have Flash support. You can create a Linux Mint USB drive by following this guide. Click here if you would prefer to buy a Linux Mint USB drive. How Can You Install Linux Mint? Linux Mint boots fairly quickly to the login screen. You have to click on your username and then enter the password the first time, on subsequent boots it remembers your user. 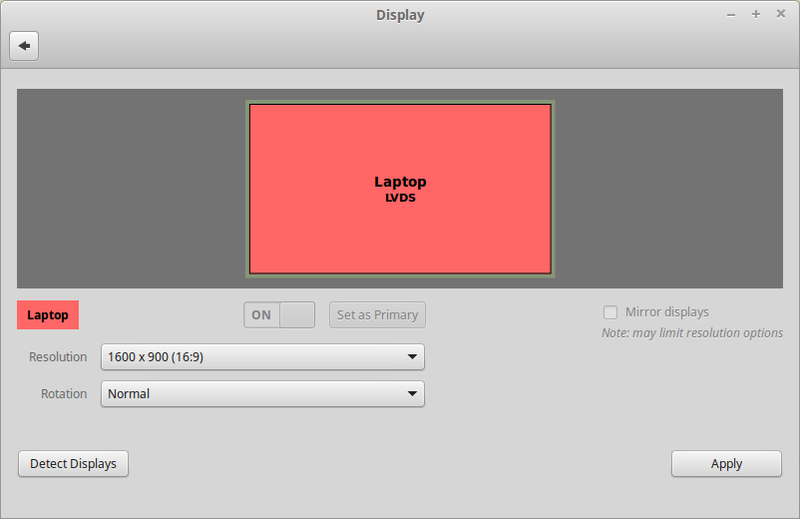 After logging in you are shown a screen with the Linux Mint wallpaper, a couple of desktop icons and a panel at the bottom. The desktop icons are for computer and home. Both icons open the Nemo file manager but from different starting folders. 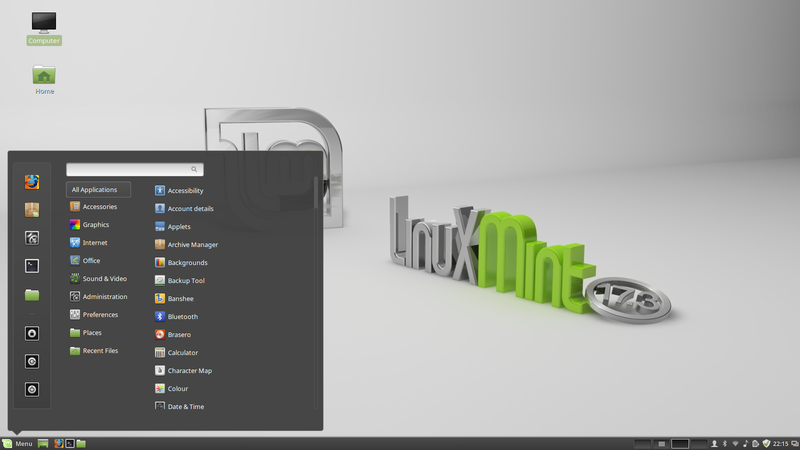 The Linux Mint menu is well organised and should feel familiar to people coming across from Windows. The menu itself has a list of categories and the items within the category. There is also a powerful search feature which helps to find applications and files. Connecting to the internet is fairly straight forward. Simply click on the network icon in the system tray and choose the network you wish to connect to. If the network requires a password you will be asked to enter it. This has been mentioned a few times already but within Linux Mint MP3 audio and Flash video work straight out of the box. Well, kind of. Firefox complains that the version of Flash is out of date and so you have to override the Firefox settings to allow the videos to play. Personally I recommend installing Chrome if you really need Flash. Although Cinnamon isn’t as customisable as other desktop environments such as XFCE it does allow for a level of customisation above and beyond anything that exists in Windows. The obvious change is to set your own wallpaper. You can achieve this by right clicking on the desktop and choosing “Change desktop background”. There are a decent number of stock photos available but you can also add your own. 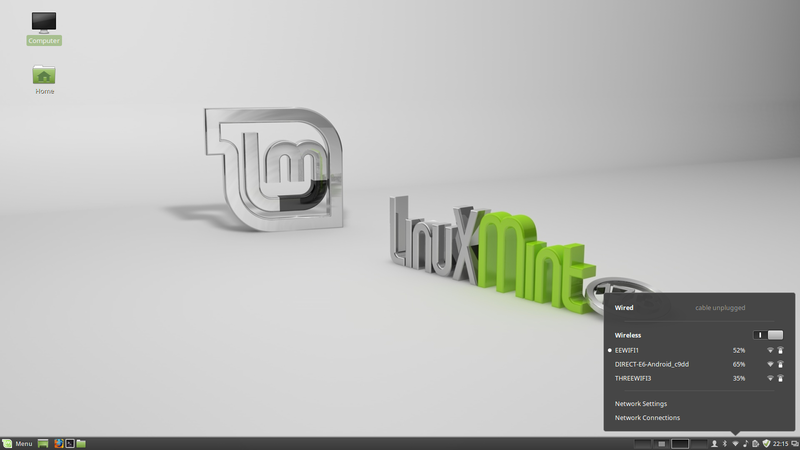 Here is a complete guide to customising Linux Mint. 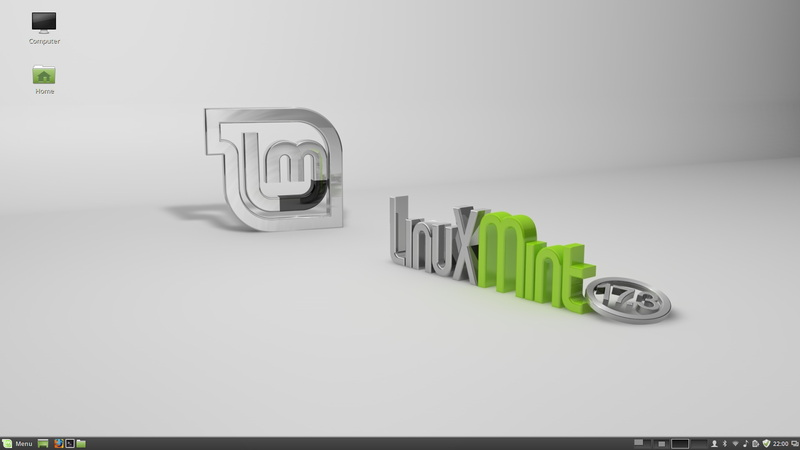 Linux Mint provides a decent set of applications so that new users are up and running straight away. Banshee is a top notch audio player which for me is only slightly bettered by Rhythmbox and Clementine. It provides support for external audio devices, incorporates the ability to play audio and video, provides access to internet radio stations and has access to online media. Personally I would prefer to see Chrome as the default browser over Firefox but it isn’t a bad choice. GIMP is about as good as it gets when it comes to image editing within Linux and LibreOffice is as good as it gets when it comes to Linux office suites. LibreOffice provides a good level of compatibility to Microsoft office and has most of the key features expected of an office suite especially for home use. The Thunderbird email client is decent and connects easily with common mail providers such as GMail. Finally, VLC is the best media player on any platform, never mind Linux. 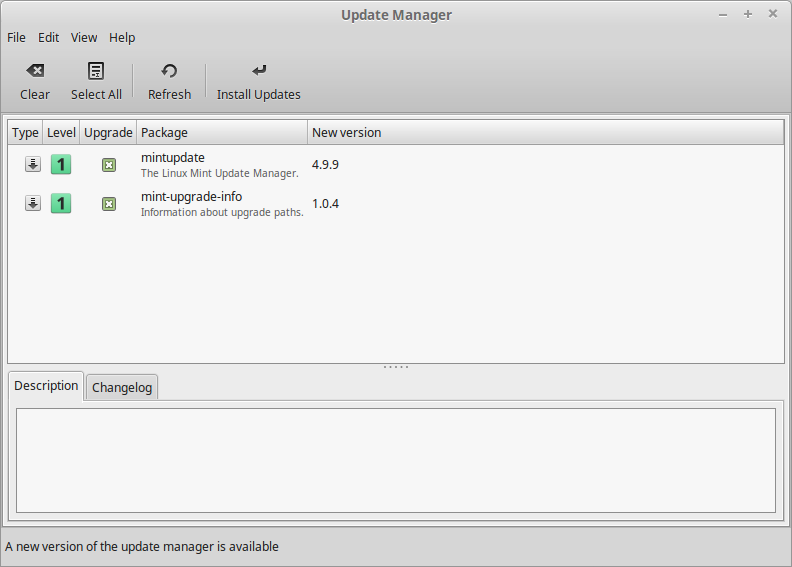 To install extra software within Linux Mint you can use the Software Manager tool. This is head and shoulders better than the Software Centre within Ubuntu. 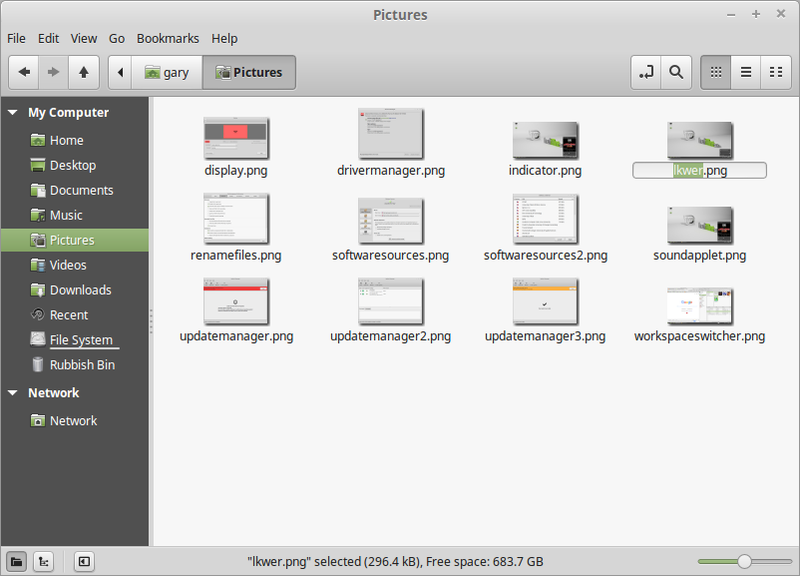 For one, the user interface for the Linux Mint Software Manager is much cleaner than the Software Centre. There is a search box in the top right corner and for browsing purposes a list of categories depicted as icons. 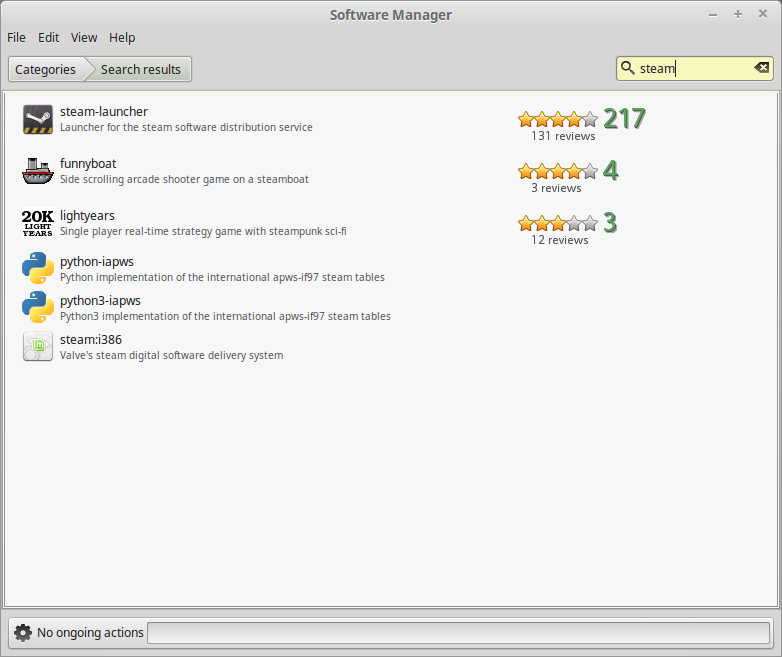 When you search for software using the software manager it appears in a list. There are no ifs, buts or maybes unlike the Ubuntu Software Centre. If you search for Steam, it appears as the first result. There aren’t duplicate results and no errors appear when you click on the link. If you don’t like the Software Manager interface then you can use the more powerful Synaptic Package Manager which is also installed. I have been using Linux Mint for about 2 weeks on this computer and to be honest a lot longer than that overall as it is a go to distribution which simply works. 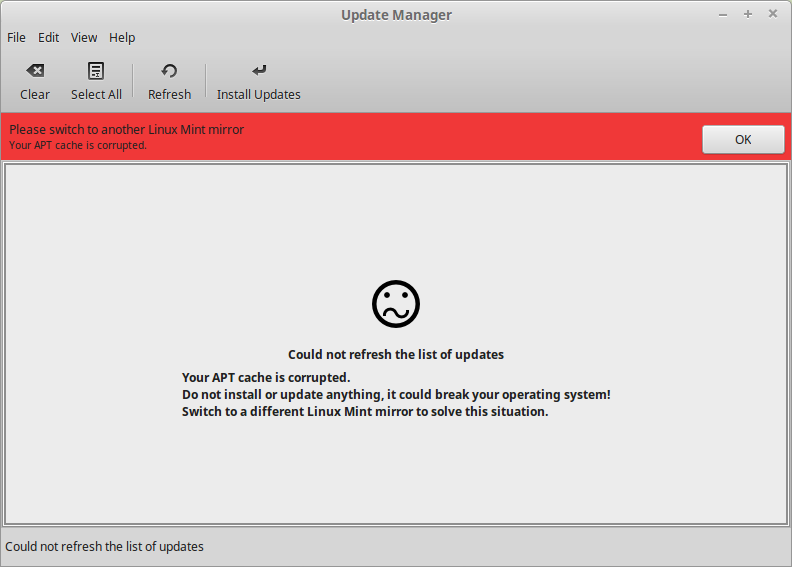 I haven’t really seen any major issues whilst running Linux Mint but I did write an article last week about a guy who managed to crash Linux Mint. (Frankly it is ridiculous). 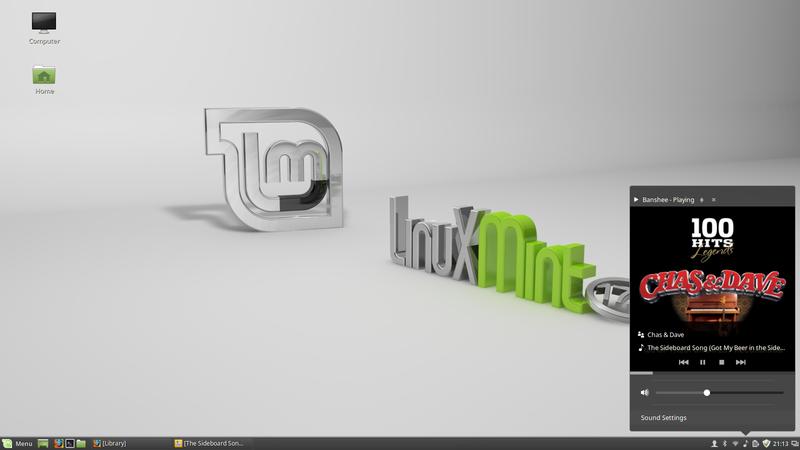 I am really impressed with the performance of Linux Mint 17.3. The boot times are reasonably good but the overall desktop performance is great. Everything loads quickly and performs very well indeed. Statistics wise it idles around the 700 megabytes mark which isn’t brilliant but sometimes statistics don’t really tell the truth about how well or bad something is performing. Incidentally my Windows 10 machine runs around the 1.5 gigabyte mark. If you have a decent computer then Linux Mint with Cinnamon is going to perform pretty well. 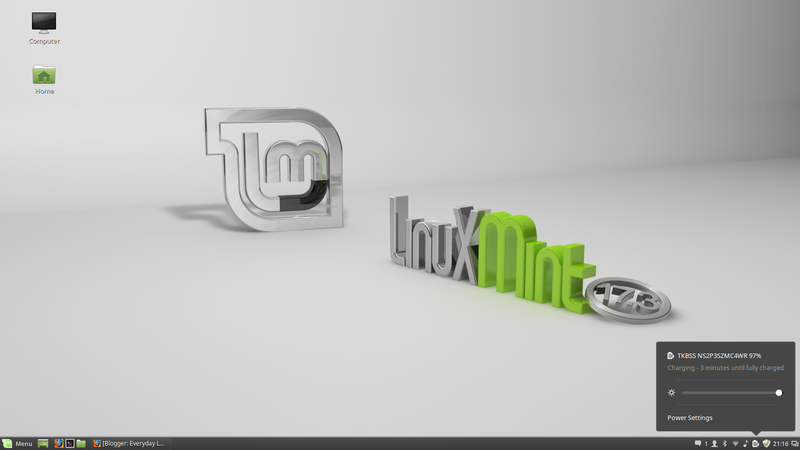 Linux Mint is the most dependable Linux distribution there is. It is easy to install, easy to use and comes with all the features you would expect from an operating system. Whilst I feel like I am having more fun when I am using Fedora or that I can work more quickly with Ubuntu and Unity, I have to say that when it really comes down to it, I really trust Linux Mint. That is the reason I always have it installed on at least one computer. Is Lubuntu Faster Than Windows XP And Frankly Who Cares? Hey Gary thanks for such a nice review. Thanks for the review Gary, I always look forward to your reviews. After using Mint for the first time a few years ago, I find it difficult to use any other OS for development work. It's fast, pretty and painless. Nemo still provides tree view, doesn't it? 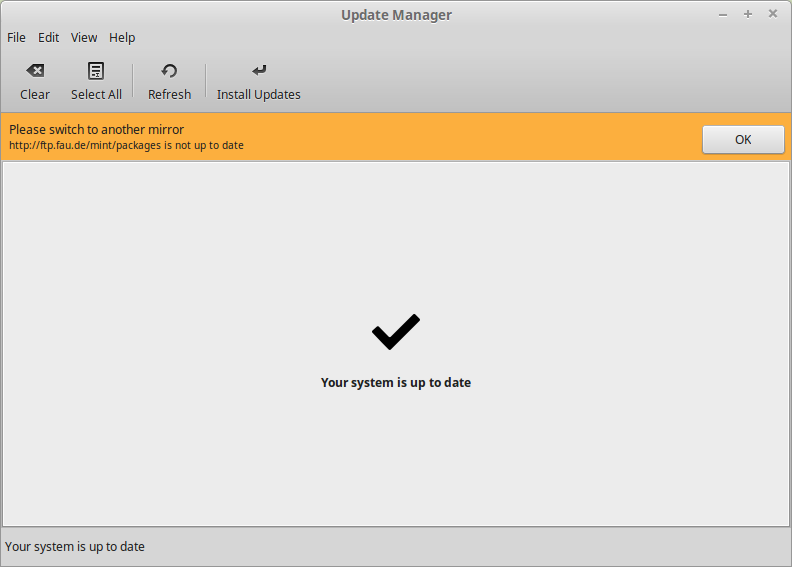 Honestly i prefer a distro coming with a kernel update, instead of useless graphical adds, like Mint 17.3. Rebecca 17.2 (mate or cinnamon) for me is better than Rosa 17.3, i have both on different laptop and pendrives. I am a confirmed distro tryer, and have tried lots of different distros , based on everything from Arch to Gentoo, but I keep coming back to Linux Mint. It just works without any messing around. It might be a bit boring, but if you want a rock steady, easy to work with distro which has nearly everything you need this is the one. However it is a pity that Conky=Manager is not in the available software, and you have to load via a ppa. Rosa doesn't work out with wifi usb rtl8192UE driver. Tried every chance to make it work but failed. Come back with PCI wireless card it's work. It is only issue I encountered with mint rosa on Dell 980 i5.